1You can emulate an Apple ][ or Apple IIgs in your browser with a plugin and 32,000 disk images, including Oregon Trail. 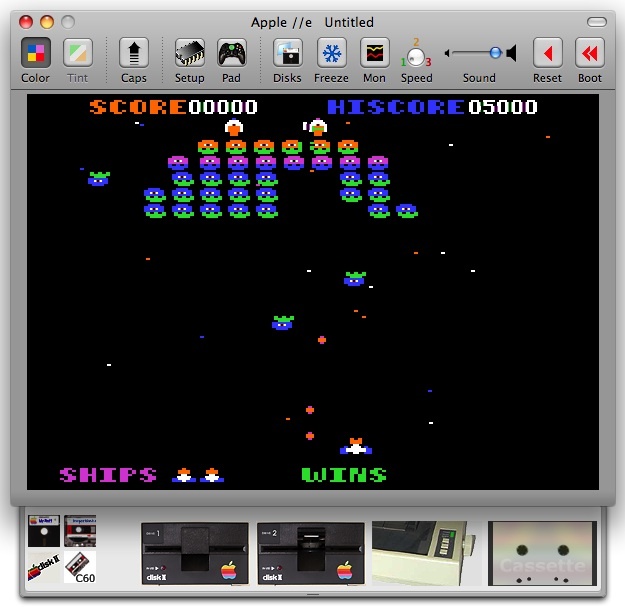 Don’t want to run an Apple //e in your browser? Download [Virtual ]4 for the job (you’ll need disk images and a ROM file). Sweet 16 can answer your Apple ][gs emulation fix, and there’s a surprisingly large collection of sort-of-recent software available, including Castle Wolfenstein 3D, an HTML editor, and AIM client. You can probably find all the classics in this comprehensive list of archives.